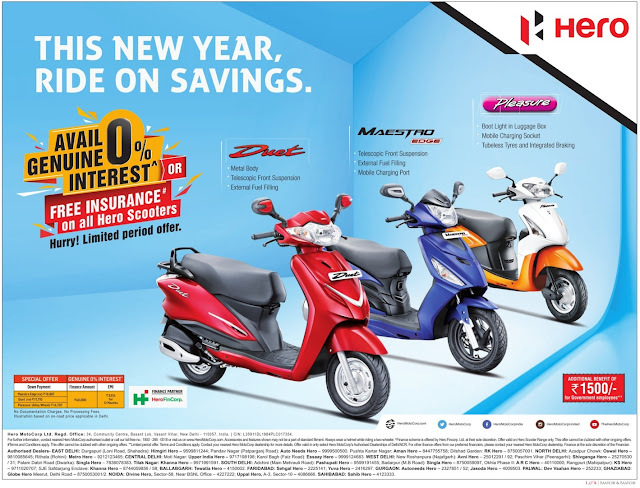 This new year Ride on savings. Zero (0)% interest or Free insurance on all Hero Scooters. Hurry. Limited period offer. Get additional Rs 1500 benefit for government employees. This offer applicable on Duet, Maestro Edge, Pleasure.